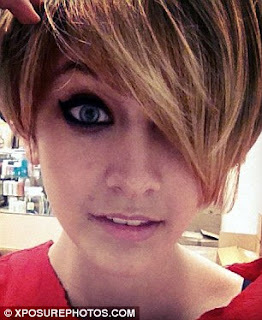 Clever Bulletin: Has Paris Jackson cut her hair in homage to Miley Cyrus? 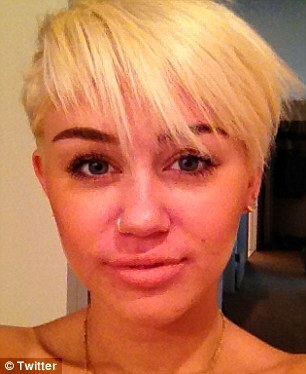 Has Paris Jackson cut her hair in homage to Miley Cyrus? She is known for her long gorgeous brown locks. But it may well be that Paris Jackson has chopped them off. As the 14-year-old daughter of the late Michael Jackson has posted a picture of herself with a dramatic shorter do. In the snap, uploaded to Twitter and Instagram, the teenager is seen with a very short crop which is also lighter than her usual hue. Paris also looks doll-like as she opens up her big blue eyes, which have been made up with a heavy application of eyeliner, very wide. It appears that the picture was taken in a hairdressing salon, however there is some mystery surrounding the new style. Pixie-crop: Paris Jackson appears to have cut her hair into a shorter cropped hairstyle much like Miley Cyrus's new hairdo, or is she just wearing a wig? She later posted the snap, accompanied with a caption: 'how about this one?' leading to speculation that she may have just been wearing a wig. Her look is also very reminiscent of Miley Cyrus, who recently received huge criticism when she cut off all her hair into a platinum punk-style blonde crop. In Paris's snap the teen is also seen posing very similarly to Miley, when the 19-year-old Hannah Montana star first introduced her haircut to the world, again, via Twitter. The last time Paris was seen with her long locks was when she hit a mall in Century City, California, earlier this month. The teen was out with a group of friends including a mystery handsome young man. The daughter of the late Michael Jackson - widely recognised as one of the greatest performers in history - recent spoke out about growing up and her struggle to carve out her own identity. She told US Glamour magazine: 'I love my dad, and I'm proud to be his daughter. I just don't think the title 'M.J. 's daughter' fits me. 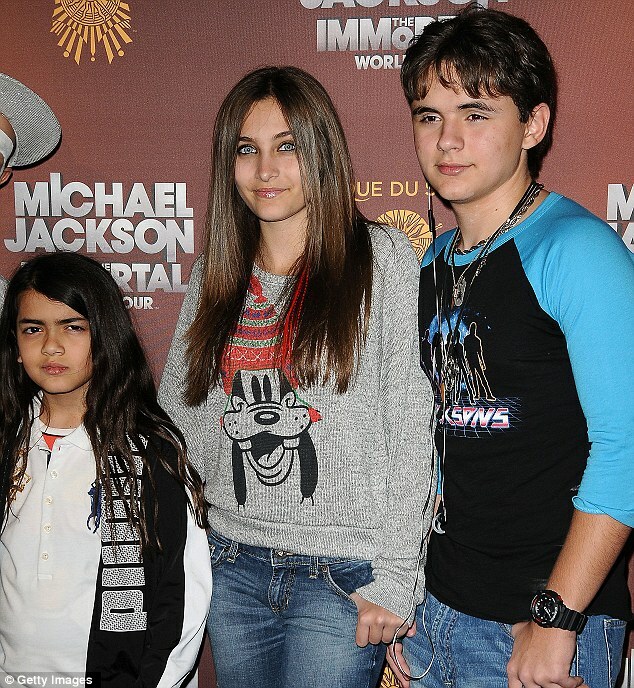 Paris' decision to pursue an acting career - which has so far seen her cast in fantasy film Lundon's Bridge and the Three Keys - has been controversial among her family, with some supporting her, but others reportedly trying to keep Paris and her brothers, Prince Michael I, 15, and Prince Michael II, 10, out of the spotlight until they are at least 18. She said: 'A ton of kids at school have made fun of me; if I have to give advice to other girls, I would say, 'Hang loose and ignore them.